Federal® Personal Defense Revolver JHP Ammo. A quality option for people who keep a firearm "close to home" for the defense of their home. 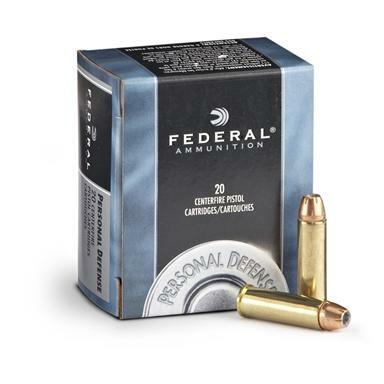 Federal Personal Defense, .32 H R Magnum, JHP, 85 Grain, 20 Rounds is rated 4.4 out of 5 by 23. Rated 5 out of 5 by Scranton from price good Price right, delivery quick, item as advertised, nice job SG. Rated 5 out of 5 by docr29 from PpRICE AND AVAILABLITY GREAT 32 H&R Mag is a very hard round to find SG always carries them and I can always depend on them to replace rounds that I used at the range. Rated 5 out of 5 by Jimmy from good price, good dependable service. This is about the fourth or fifth time I have purchased ammo from Sportsman and I have had good service and no problems. 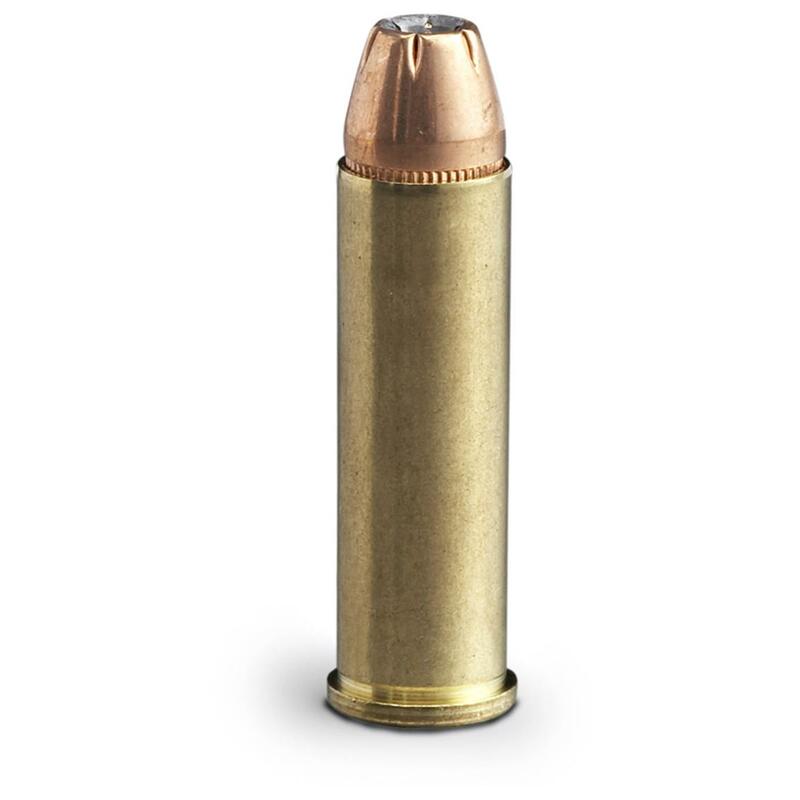 Rated 5 out of 5 by John Galt from Good value for ammo that can save your life I carry this in my Charter Arms Undercoverette in .32 H&R Magnum. It's controllable and accurate. Note: I see a couple of other reviews from people who thought this would fit in their semi-auto handguns - it will NOT. This is a revolver cartridge only (and in rare cases, rifles) - not semi-auto pistols. If your gun isn't a .327 Magnum revolver or a .32 H&R Magnum revolver, this will not work in your handgun. Hope this helps. Rated 5 out of 5 by Plymouth road runner from Great littl round Know what your ordering and what type of firearm you have.Ammo is correct size for my N.E.F. 32 mag.Great defense round for a senior like me. Rated 1 out of 5 by Harry from Wrong Size I ordered the 32 cal bullets thinking they were for my Auto size gun and found them too long. I now have 20 magnum size ammo that I cannot use! Rated 5 out of 5 by DANIEL from These are very good rounds. I have used them for 12 years. I would recommend them to anyone. Ultimate stopping power through shorter barrels.